Now, I’ve been to Vancouver many times but mostly for business reasons. BORING! 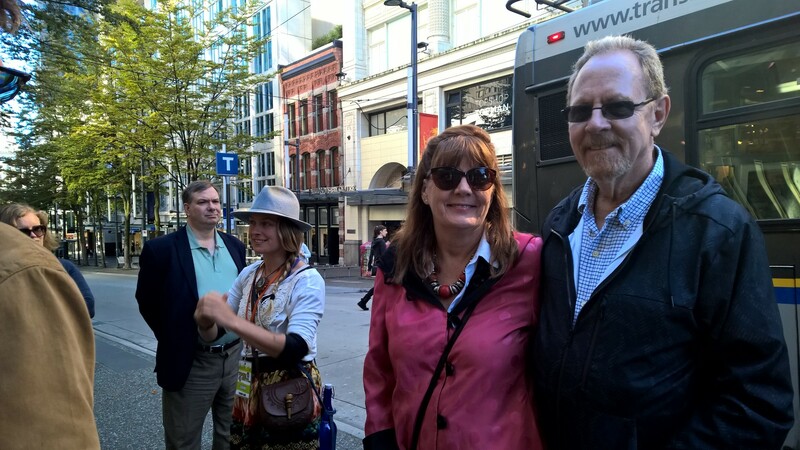 This past weekend, I got to go for fun with Thom and my best friend Patti and her husband Larry. 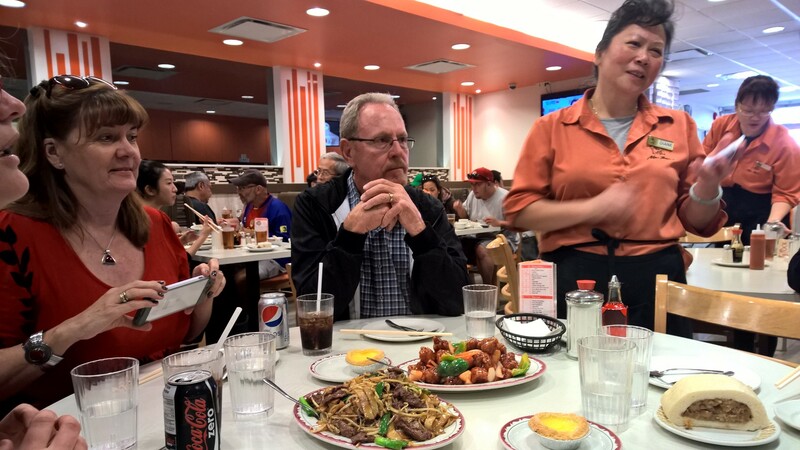 Got to hand it to Patti and Larry-they have faithfully visited us everywhere from NYC to China to Seattle. So now it was time to add Canada to our list! After enjoying the Amtrak up to Vancouver, we had a blast, though I did walk too fast and too far for my friends. Sorry Patti!!! I actually got up early Saturday to walk 3 miles by myself around the waterfront (sunrise!) and burn off some energy so I would walk slower the rest of the day. I don’t realize how fast I walk because Thom is just as bad until I get around folks who don’t get a chance to walk as much as I do. Let’s face it, most people drive everywhere they need to go especially if they live in the country. I’m an urban chick and my idea of a good day is being able to walk 10 miles. Crazy!!! Now, I have never dug into the history of Vancouver but now I can say with authority that this is a city built-in a very similar manner as Seattle and San Francisco-natural resources and a wild, wild west attitude. 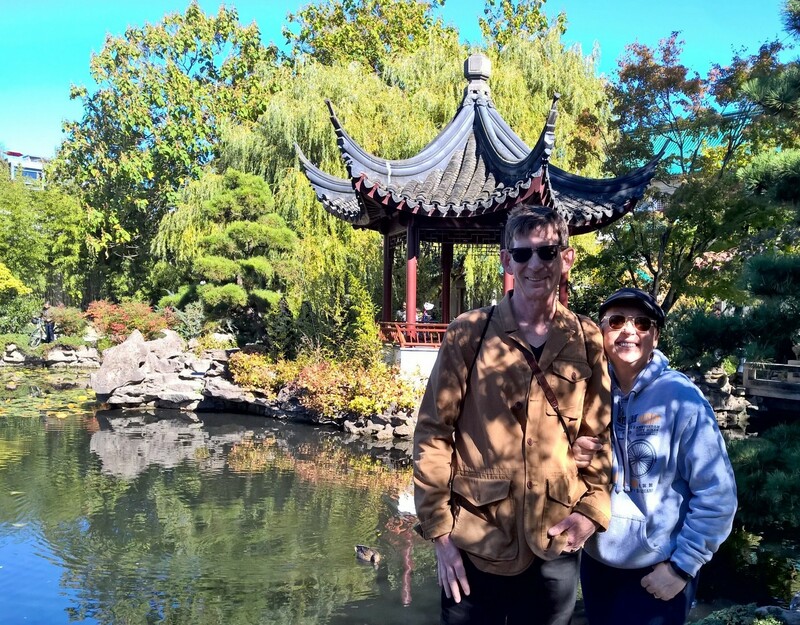 After seeing great reviews on TripAdvisor, I signed us up for two free walking tours-one each day-for Gastown and Chinatown. Now, you may say that you get what you pay for so why go on a free tour??? I thought the same but so glad we went because Ali and Leni, our guides, were both enthusiastic and knew their stuff. 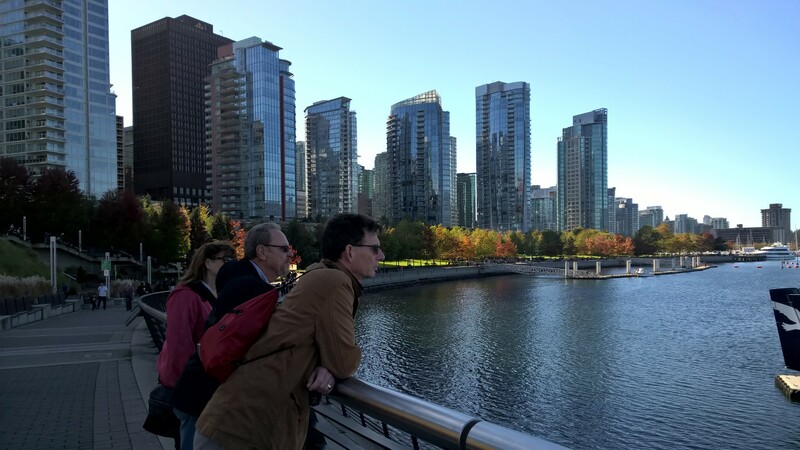 They entertained us with stories and a well thought out walking tour designed to make the history of Vancouver come to life. This is their job (or at least one of them-they are not getting rich working for tips) but they ask that, if you liked the tour, you give them something for their delightful storytelling and expertise. Check them out if you are in Vancouver: http://www.tourguys.ca. 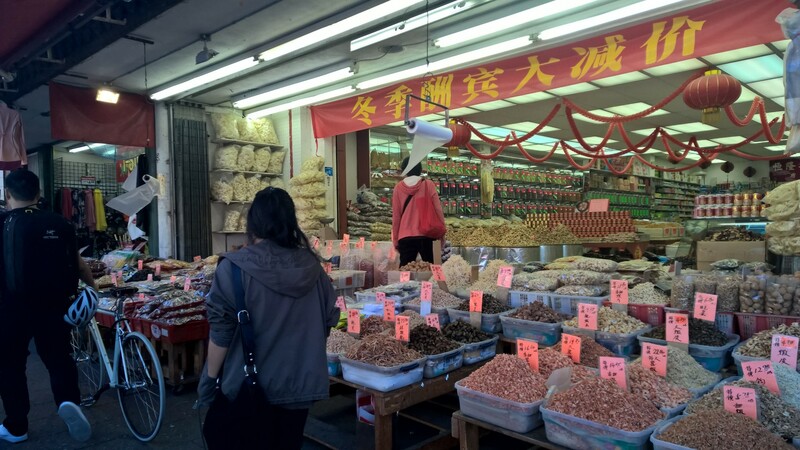 After our Chinatown tour, we headed straight to the best rated (Yelp!) restaurant in the transitioning Chinatown area. Now, the Chinese residents are moving out as they can afford to so this Chinatown is not a vibrant area but with it’s seafood and produce markets, it did remind me of our home in Shanghai. I miss it so much! Lots of raw fish, baskets of dried seafood and veggies. So pungent smelling! We went to the New Town Bakery and indulged in egg tarts, potstickers and yummy dishes galore. We met a lovely lady from Perth, Australia on our tour who was in town on a grant from her city job to tour the world and study best practices in urban planning and invited her along to lunch. Of course, now Thom is hooking her up with his contacts in NYC to help her out. So nice to help other world travelers! The Gastown tour ended thankfully right next to my favorite place to eat in Vancouver-the Water St. Café. Seriously, every time I go there I eat the salmon risotto and this trip was no exception. 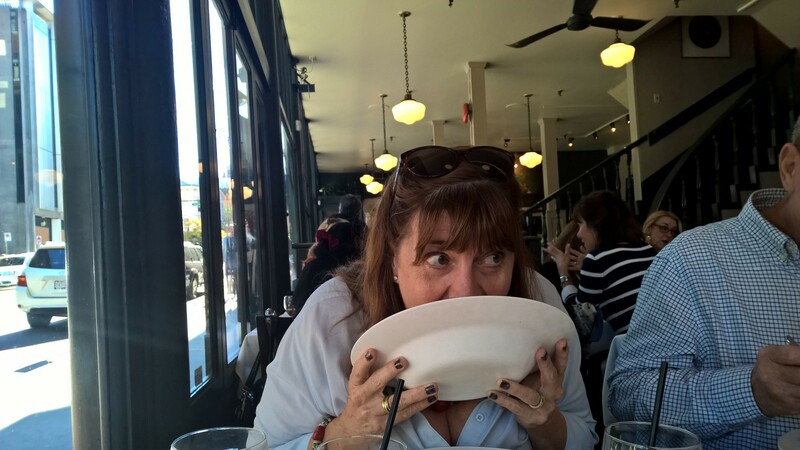 Patti tried it too and literally licked the plate. So creamy, so delicious! Water Street Café–salmon risotto so good Patti licked the plate! The whole Yaletown and Gastown areas are filled with restaurants and interesting shops as well as being historic. 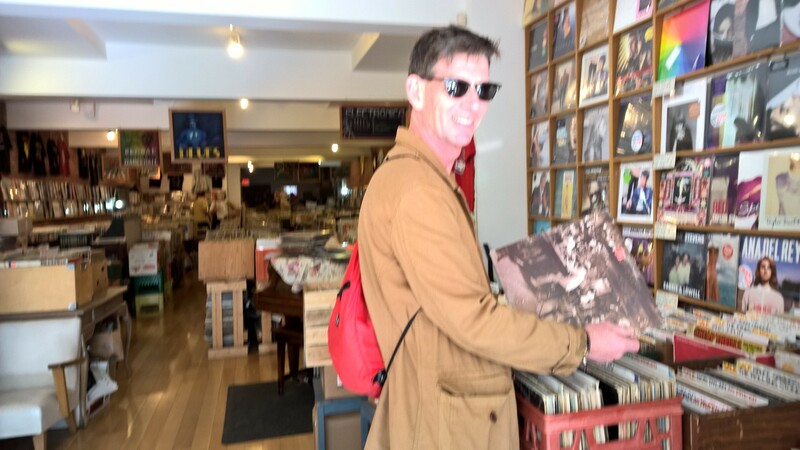 Of course, Thom found a few vinyl stores and had to shop for his ever-expanding collection. With a new Nordstrom’s and their local chain, Roots, everywhere, it was hard NOT to spend money. With a good exchange rate, I wish I had brought more luggage more to carry home Canadian treasures. Oh well, next time! Only a few hours drive from Seattle, I’ll be back soon!